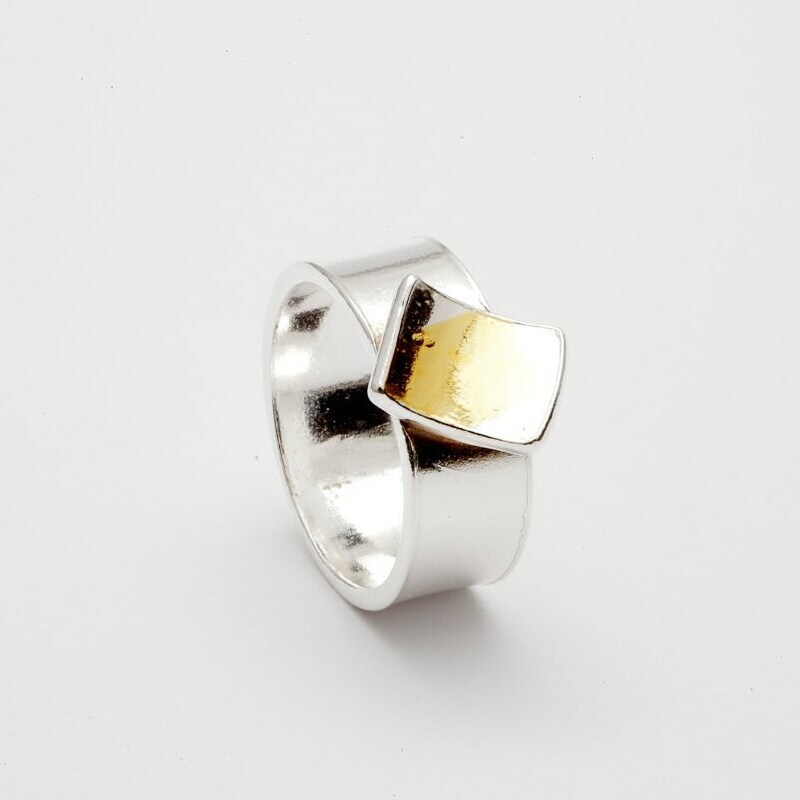 A contemporary ring in polished sterling silver mounted with an inverted rectangle with Keum Boo detail. The design was actually a mistake that came to me when I was making my daughter's ring smaller and I decided I quite liked! Keum Boo is an ancient Korean gilding technique used to apply thin sheets of 24 carat gold to silver. 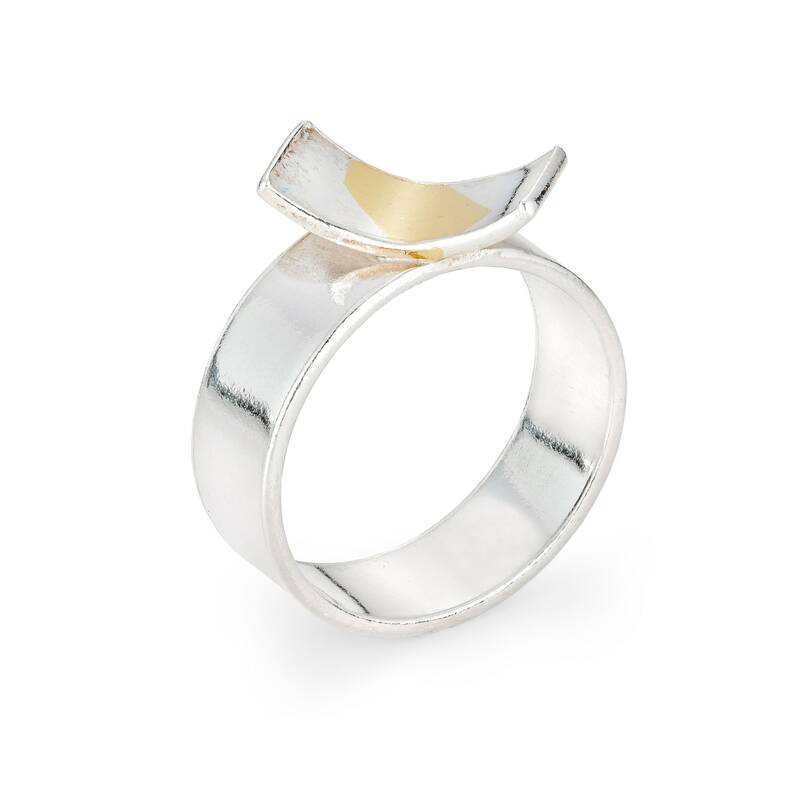 The ring is made of 7 x 1 mm rectangular silver. 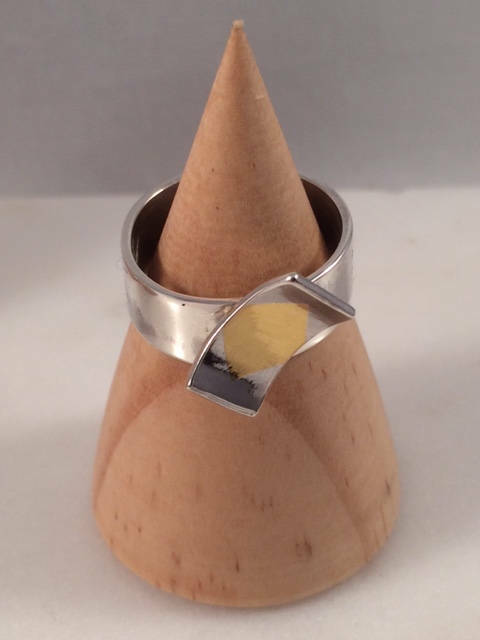 The ring is made to order in the size requested.